Marvel has released the first teaser trailer for their new Spider-Man animated series, although we may have to wait a bit longer to see this web slinger in action. This announcement video doesn't feature any actual footage of the new Spidey, although it does confirm that the animated series will be debuting on Disney XD sometime this summer. The cable network has not announced a premiere date yet, but that announcement may be coming soon now that we have this sneak peek. 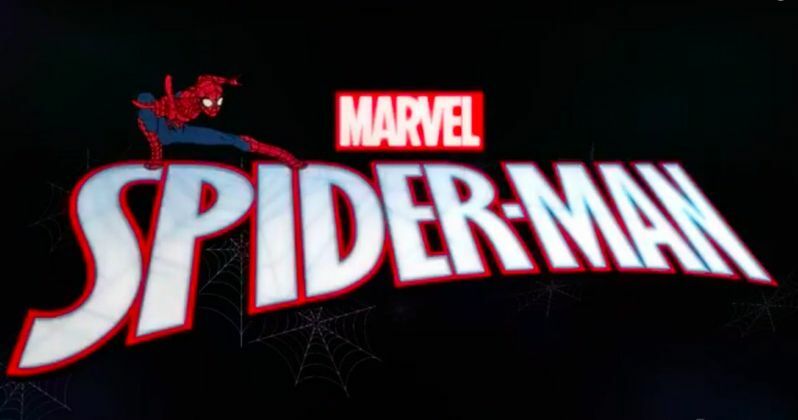 The original animated television series Marvel's Spider-Man will debut on Disney XD in 2017. The announcement of this new series was made by Cort Lane, senior vice president, Marvel Animation and Family Entertainment, at New York Comic Con. Produced by Marvel Television, the series tells the story of an unsure but courageous teen who has to figure out how to be a super hero from the very beginning. Here's what Marc Buhaj, senior vice president, Programming and General Manager, Disney XD, had to say in a statement. Produced by Marvel Animation, the series' award-winning creative team includes executive producers Alan Fine (Marvel's The Avengers, Iron Man, Thor), Dan Buckley (Marvel's Avengers Assemble, Marvel's Hulk and the Agents of S.M.A.S.H. ), Joe Quesada (Marvel's Avengers Assemble) and Jeph Loeb (Marvel's Agents of S.H.I.E.L.D. ); co-executive producers Stan Lee (Spider-Man), Eric Radomski (Spawn, Marvel's Avengers Assemble), Cort Lane (Marvel's Ultimate Spider-Man) and Stephen Wacker (Marvel's Avengers Assemble); supervising producers Kevin Shinick (Marvel's Avengers Assemble, Robot Chicken) and Marsha Griffin (Transformers Prime, The Life and Times of Juniper Lee); consulting producers Dan Slott (Spider-Man: Big Time, The Superior Spider-Man), Kevin Burke and Chris "Doc" Wyatt (Marvel's Avengers Assemble, Marvel's Ultimate Spider-Man); and supervising director Philip Pignotti (Marvel's Avengers Assemble, Marvel's Ultimate Spider-Man). Here's what Cort Lane, senior vice president, Marvel Animation and Family Entertainment, had to say in his statement. "We've been secretly nurturing Marvel's Spider-Man for years now, so we are thrilled to finally announce it. The simple title reflects a back-to-basics approach - the story of an ordinary teen, Peter Parker, who suddenly finds himself with strange new powers and overwhelming responsibility. And thanks to story editor Kevin Shinick and supervising director Philip Pignotti, it's just filled with heart and humor." Marvel's Ultimate Spider-Man will culminate in January 2017 with an exciting two-part finale arc titled "Graduation Day" that will see Spider-Man stop Doctor Octopus and the Superior Sinister Six from destroying all of the heroes in New York City. For 2016 to date, the series has reached 51 million Total Viewers across the U.S., generated close to 4 million consumer engagements via VOD/STB and ranks among the network's top 5 animated series in key targeted boy demographics. Take a look at this new trailer below for Marvel's Spider-Man, courtesy of IGN.